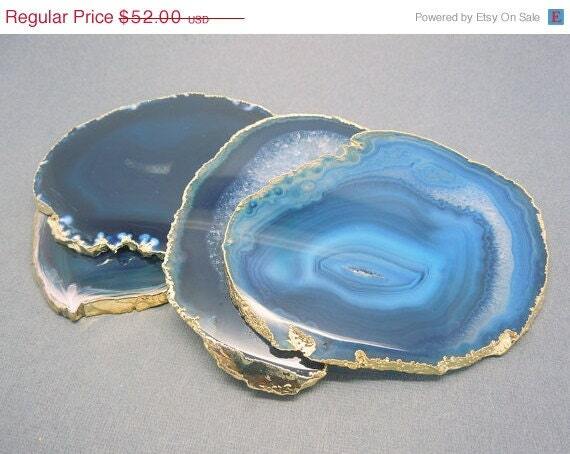 Agate slices have a 24k gold electroplated edge. Druzy crystals in the open center, great light catcher. This listing is for a set of 4 agate slices. Slices measure about 3.5" x 4.5-5"
These agates will vary slightly in size and in characteristics.